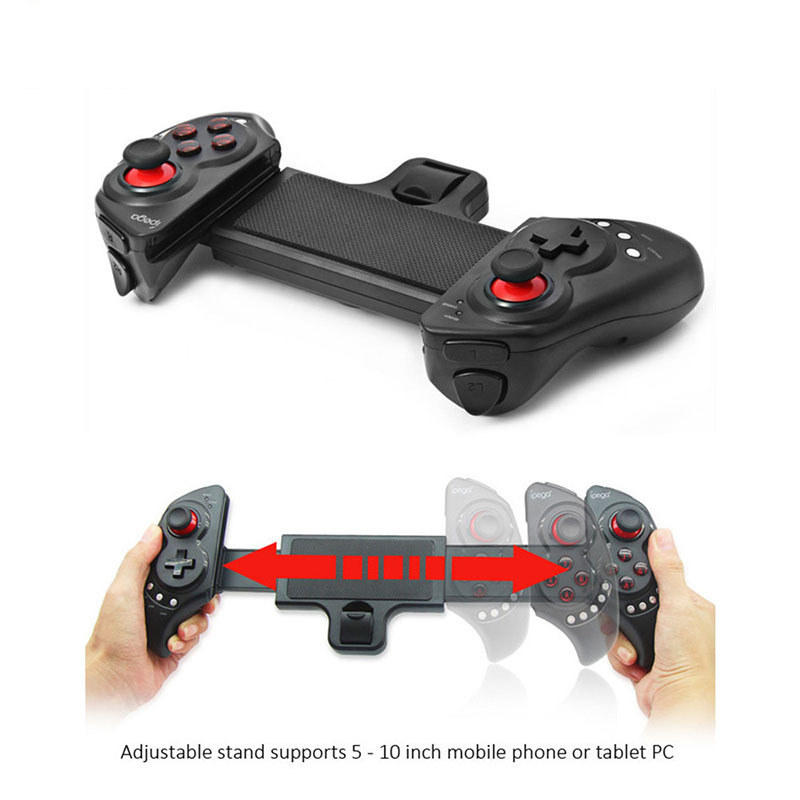 Successfully Added IPEGA PG-9023 Wireless Bluetooth Gamepad Telescopic Game Controller Pad for Android IOS Tablet PC to your Shopping Cart. Telescopic design, which can be extended to fit diffrent sizes of mobile. Suitable for phones and tablets(from 5 to 10inches). It is compatible with Pod/Phone/Pad as well as the vast majority of android tablet PCs. When the controller cant operate normally, please use the paperclip to touch the reset switch on the left corner of the grip back when the grip cannot shut down or crash.